A new pub on 124 Street offering a mixture of British and Scandinavian fare. 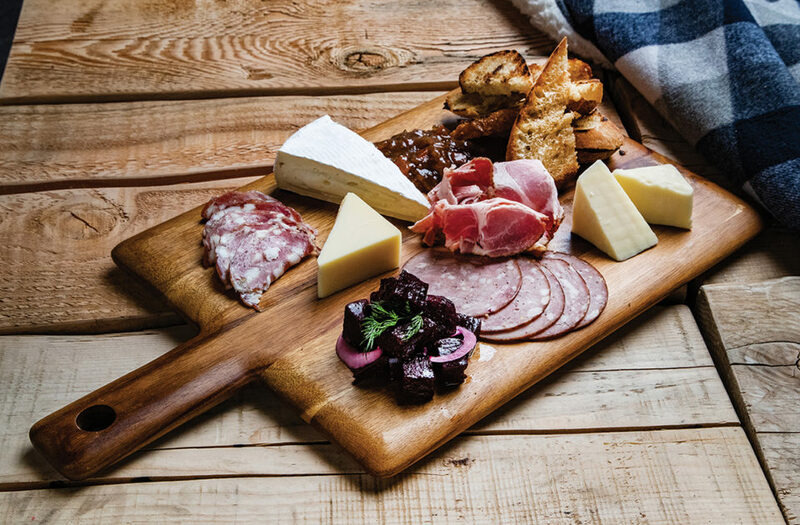 The Ploughman's Board. Photography by Curtis Comeau. 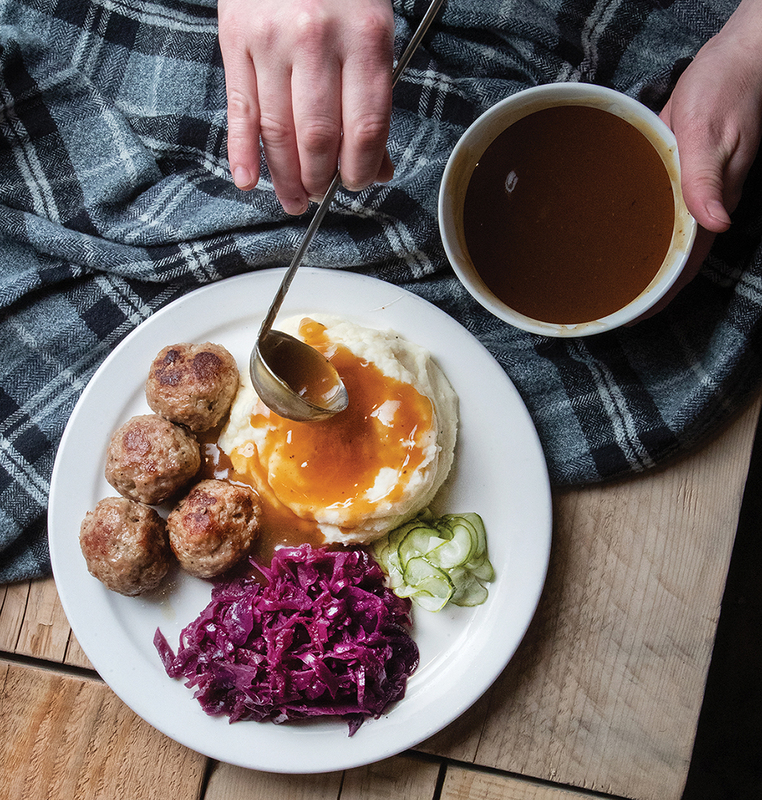 Over the past few years, the elusive Danish concept of hygge has become an international obsession. While it’s tough to pin down exactly what the term means, it generally refers to a sense of coziness, of enjoying good food and drinks with friends. With the Edison bulbs, antler accents and warm wood throughout the space, this new addition to 124th Street embodies the term. The menu is a bit of a unique mix, split between traditional British pub fare and Scandinavian dishes. The British dishes include classics such as beans on toast, shepherd’s pie and a ploughman’s board. If you’re feeling decadent, go for the Stuffed Yorkie, a golden Yorkshire pudding filled with braised boneless short rib, resting atop mashed potatoes and smothered with beef gravy. 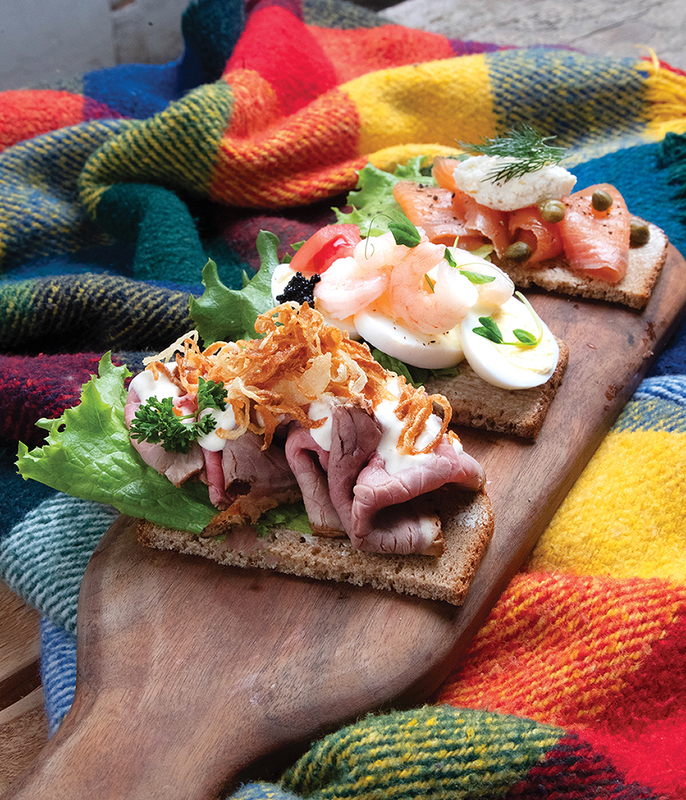 And don’t ignore the dishes that showcase the restaurant’s Danish influence — carnivores will love the frikadeller, pan fried pork patties, while adventurous eaters will enjoy the smorrebrod, a traditional type of Danish open faced sandwich. Three Vikings rotates the options available regularly, and, on a recent visit, one of the selections had eggs, shrimp, lemon dill remoulade and caviar — an intriguing combination you won’t find at many spots in Edmonton.